Agile is, less acknowledged than but much like Lean, a set of thinking tools and interwoven principles. They are the levers that empower people to faster create better products in a sustainable and respectful way. 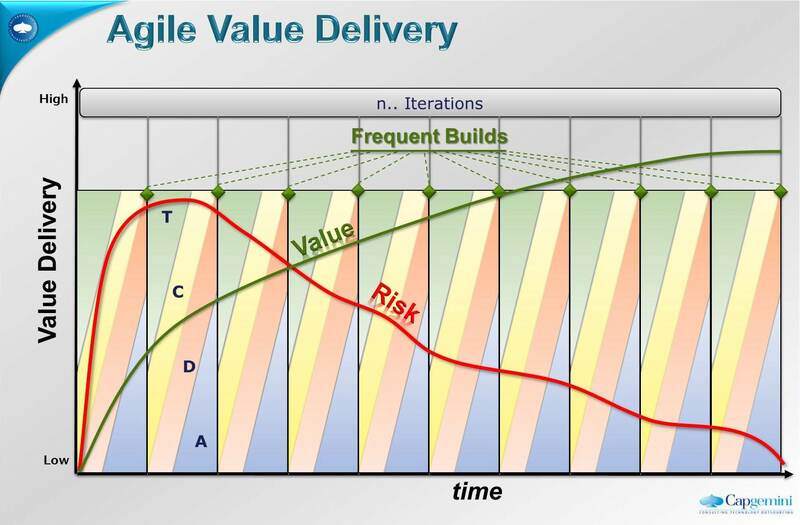 Typical misconceptions like using Lean for mere cost cutting, limiting Agile to the software department and expecting one, silver bullet, process prevent the emergence of larger benefits. In Agile, better software products with Built-In Quality are faster achieved by fundamentally re-organizing all activities in an iterative-incremental way and by performing tasks in parallel on a daily basis. A different approach to Managing Risk & Quality. But let’s have a look at Agile and Lean as blending philosophies, the matching of Agile practices with the main Lean principles. Potentially unused inventories (requirements, predictive plans, overdesigns) are not produced upfront. The highest priority work is detailed just in time. A Team will Pull in the amount of work they deem feasible for an iteration, commit to it and build it upon progressive learning and continuous improvement. Partially done work won’t pile up as an iteration results in working increments. Undone work is prevented by an overall Kaizen thinking, made explicit in a daily Inspect & Adapt stand-up meeting and an iterational Retrospective. Active Business Involvement excludes unwanted or invaluable requirements. 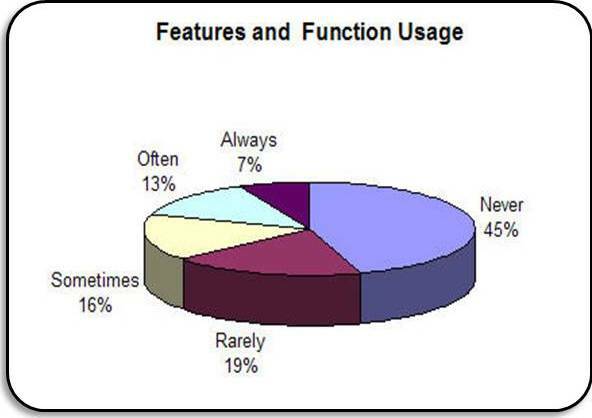 Knowing that only 20% of software functions are regularly used, this represents an enormous waste while showing much disrespect to the people having to spend their time on it. A Shared Visual Workspace facilitates fast decisions, high interaction and short communication. Openly available Information Radiators are used for the Team to self-inspect and adapt and for external transparency. It shows the real progress upon real efforts and protects the Team in maintaining Sustainable Pace, to assure product quality. Iterations are timeboxed to Deliver Fast and usable, end-to-end working software that can be put into production. A review with all stakeholders gives the Team outside feedback, remarks and enhancements. Besides this product inspection, an Agile Team will improve its overall operation with a retrospective meeting. Within an iteration however each Team member has the right to immediately Stop the line. Optimizing The Whole is achieved through active Business involvement and the on-site presence of all technical skills to turn ideas, options and requirements into working software. The Value Stream is optimized because traditional waiting activities like hand-overs and external decisions are eliminated. No macro hand-overs due to a sequential process. No micro hand-overs within the collectively responsible Team. And, finally, a Manager-teacher, facilitates the Team in teaching the process and removing impediments. Attached is my complete paper on The blending philosophies of Lean and Agile. It was previously published as 2 blognotes, one for the Lean part and one for the Agile part of the text at the Capgemini Techno Blog.